The APNU+AFC Government is in the process of seeking international help on various issues, two of which include crisis management in the petroleum sector and boosting Guyana’s preparedness for oil spills. Specifically piloting efforts in this regard is the Natural Resources Ministry. 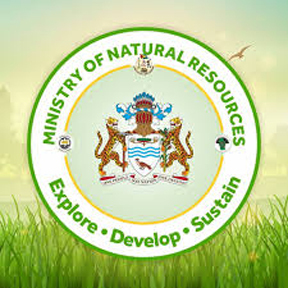 On its website, the Ministry noted that it is inviting proposals for Strategic Environmental and Social Assessment consultancy in compliance with the requirements of the Guyana Oil and Gas Capacity Building Project #166730, funded by the World Bank. The Ministry explained that the Government will hire a consultancy firm to prepare a Strategic Environmental and Social Assessment (SESA) for Guyana’s new oil and gas sector to help meet long-term country development outcomes by integrating environmental, social (including labour), health, safety and security considerations in oil and gas policies, laws and sector growth. Considering the ongoing and proposed development and capacity building activities for the oil and gas sectors, the SESA is expected to provide a comprehensive sector-wide examination of potential impacts, both positive and negative, and identify gaps in regulations, institutional capacity, and public consultation mechanisms. country’s ability to address health and safety issues in this sector, and to inform the preparation of an Indigenous Peoples Planning Framework (IPPF). In the process, the Ministry said that the SESA will contribute to a more transparent understanding of environmental and social regulations, creating a more level playing field for private investors. The National Oil Spill Contingency Plan, one of the most critical documents supposed to be in place for any emerging petroleum producer like Guyana, is expected to be in place by March. This was noted by head of the Environmental Protection Agency (EPA), Dr. Vincent Adams..
Dr. Adams noted that the EPA had a chance to review the draft plan and several comments were returned to the Civil Defense Commission (CDC) for consideration. Dr. Adams described the Oil Spill Contingency Plan as “a work in progress” while noting that it needs a lot of details. The Environmental Engineer is also of the opinion that a proper risk assessment will be needed for the plan. He said that the risk assessment will identify the areas that are most vulnerable to an oil spill and the far reaching effects of such an eventuality. The EPA Head said that the CDC may wish to hire someone to do the assessment since it is a technical area and the document will be a most important one for Guyana’s oil sector. The Inter-American Development Bank (IDB) is just one of the many voices which called for there to be a national oil spill contingency plan in place before oil production commences in 2020. In its special report, the IDB noted that Guyana’s CARICOM sister, Trinidad and Tobago which has been in the petroleum industry has taken the wise move to safeguar d its sector with a national oil spill plan. That plan was updated and passed by TT’s Cabinet in January 2013. With this in mind, the IDB believes that Guyana can take a page from Trinidad’s book and get its own plan in place soon. It has been almost eight months since the first round of consultations was held on the draft national oil spill plan. Leading the work on the oil spill plan is the Civil Defence Commission. Specifically, Captain John R. Flores, Director of Maritime Safety had organized a small team of locals to draft the document. Along with considering the inherent risks of drilling for oil, Flores said that Guyana is a member to several organizations, which mandates that a contingency oil spill plan has to be in place. He said that these organizations include the International Convention for the Prevention of Pollution from Ships (MARPOL), and the International Maritime Organization (IMO). The official also noted that Guyana is a signatory to the International Convention on Oil Pollution Preparedness, Response and Co-operation (OPRC) and the United Nations Convention on the Law of the Sea. The Director of Maritime Safety said that several documents were used as a reference point for the creation of the framework for the oil spill plan. 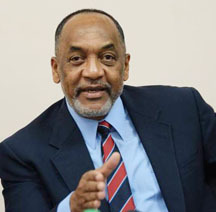 He said that these included the IMO’s manual on guidelines to be followed in the creation of an oil spill plan, draft procedures that Guyana’s authorities had from years ago, and oil spill plans by other nations such as Trinidad and Tobago.